What Does Code P0701 Mean? Like the rest of the modern automobile, the most basic of which have more processing power than the original Space Shuttle, the modern automatic transmission is monitored by numerous sensors and controlled by a number of solenoids and regulators. The TCM (transmission control module) houses all the electronics required for proper automatic transmission operation. Like the ECM (engine control module) and other vehicle modules, the TCM looks for feedback, within certain thresholds, when it activates a solenoid, for example. Anything outside the expected parameters is determined to be a fault, at which time the TCM sets a DTC (diagnostic trouble code). The ECM, with which the TCM may or may not be integrated, depending on year, make, and model, sets a TCM informational DTC and illuminates the MIL (malfunction indicator lamp). DTC P0701 refers to a generic transmission control system fault, but not to a specific fault, such as a solenoid or brake, for example. On encountering DTC P0701 in ECM memory, further diagnosis will be required to determine the nature of the fault. What are the common causes of code P0701 ? Depending on year, make, and model, DTC P0701 may have number of causes. Here are some of the most common. Wiring Harness or Connectors – Damage and corrosion are the two leading causes of TCM faults. 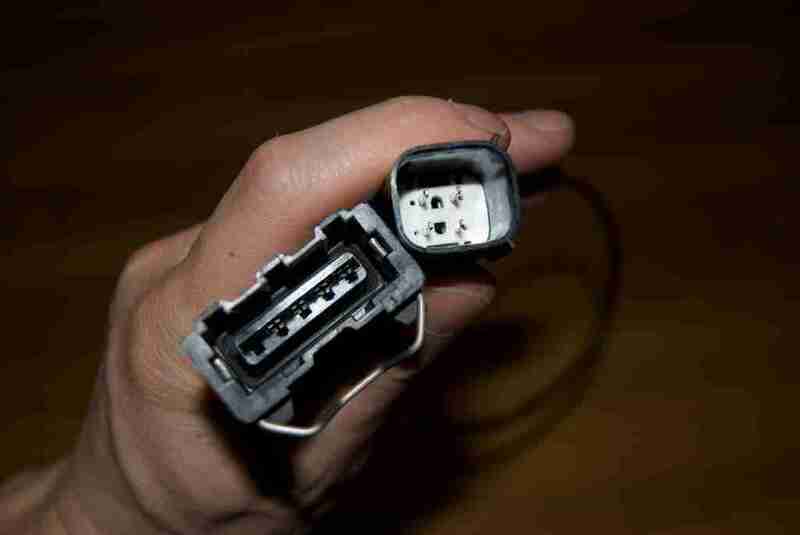 A broken connector or compromised weather pack can easily allow water entry or poor connection. Aftermarket Installations – Inadvertently tapping into a critical circuit may cause unwanted interference in ECM / TCM communication. What are the symptoms of code P0701 ? Depending on the vehicle, symptoms related to DTC P0701 may range from an illuminated MIL, with no drivability issues, to serious drivability issues. Depending on failsafe design, some vehicles may revert to hydraulic function and shift more or less as expected, while others may drop certain gears, such as being unable to shift out of “L” to upper gears, or running only in 2nd gear. Some vehicles may be difficult to start, act like they’re misfiring, and may even stall when coming to a stop. In any case, with the MIL illuminated, the ECM is automatically put in “limp-home mode,” enabling you to get home, but fuel economy and drivability will suffer. Immediate diagnosis and repair will be necessary. How do you troubleshoot code P0701 ? DTC P0701 is most often linked to one of two things: Electrical Failure or TCM Failure. First, make sure that both the ECM and TCM have good power and ground connections. Check the wiring harness between the ECM and TCM. This may take some time, but there is likely an open circuit or short circuit between them. Look for obvious damage, such as crushed wires, rodent damage, or road debris damage. Check the connectors at the ECM and TCM. Look for broken or bent pins, which would cause open circuits or short circuits. Also look for corrosion or water entry, which could cause similar problems. Barring electrical problems, you likely have a TCM failure, which would require a reflash, if applicable, or replacement of the unit. If the TCM and ECM are in the same unit, then an electrical fault is essentially a module fault, which would require a reflash, if applicable, or replacement of the unit. Again, look for broken or bent pins, corrosion, water entry, or damage, any of which could cause this type of fault. DTC P0701 may also simply refer to another fault in the system, so scan for additional related transmission control system codes for further diagnosis. I’m sorry for the delay, but we have a new troubleshooting article up that might help you with your vehicle. Give it a go and see what you can find out. Also, what year, engine, and transmission is your Corolla equipped with? Is the throttle position sensor part of that throttle body replacement? I’m not sure, but I think there’s a relearn procedure you have to run before it works properly. Yes the sensor is on the throttle body .I drive it for 20 mins runs good then the wrench light comes on then it won’t move .I shut car off runs good for 15 mins and light comes on again ,any answer would help. Regarding light dimming, this sounds like you could have a weak alternator or your battery is on the way out. You don’t have any aftermarket stuff installed, do you? They could be draining the battery overnight. With the engine idling, you should measure at least 13.5 V. Check the battery. It should be at least 12.6 V on its own. Also load-test it. It shouldn’t drop below 10.6 V after 5 seconds. Check for corrosion in the battery cables, terminals, fuse box, and the ground strap. Low voltage problems can cause all kinds of havoc in electrical systems. I found this relearn procedure, which should work for your vehicle. 2) Run a jumper wire from the positive battery cable to the now disconnected negative battery cable terminal. NOTE. Do this with the negative cable DISCONNECTED from the battery. 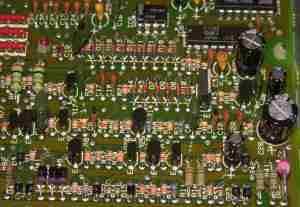 The short circuit you’re creating here is designed to drain all power from the capacitors inside the PCM. Leave the jumper connected for about 2 minutes. 3) Reconnect the negative battery cable to the battery. Turn off all electrical accessories before proceeding. Turn off headlights, blower motor, radio, wipers, etc. 4) Turn the key to run (do not start the vehicle) and wait for all warning lights to turn off. During the period the PCM will command the throttle body plate to sweep from full open to full close to “learn” the new positions. 6) If you have an automatic transmission, drive the vehicle at various speed so the PCM learns shift points. This might take a while. Make sure you run the vehicle through at least a dozen accelerations, that is, stop, accelerate normally (not racing) through all the gears, then bring the car to a stop again. The first few times, the transmission might buck or shift weird, but accelerate through it. After a few times, the transmission controller will learn its shift points properly, and it should be smooth from here on out. Check the other comments for the throttle body relearn procedure. Once that’s done, then you have to clear codes and try driving the vehicle around until it resets the transmission shift points and such. If any DTCs come back after that, then we need to see if we can address them. You might have to visit the dealership to check this one. You should make sure you have at least 13.5 V at the controller when the engine is running, but this DTC usually means the transmission control module needs to be reprogrammed or replaced. Sorry for the delay. I’ve been having some issues here with home and stuff (just moved back into the country) It seems obvious, but I wouldn’t replace the shift switch until you check where the cable goes to the transmission to make sure nothing was damaged there. Something probably got damaged in the shift position switch at the shifter. You’ll need to get a Ford scanner to read the specific code. I also have an 07 Ford 500. Sometimes it will drive for me and then other times the Check engine light and wrench light will come on and when I put it into reverse or drive it will rev but it won’t go anywhere!! Any suggestions? I would start with checking transmission fluid level and condition. I have this code come up also, but my car will drive but will not shift passed 70km. Is it an easy fix and could I do it myself. I just bought a 2006 Ford freestyle the lady I bought it from said that a sensor to the transmission was wrong with it. So we asked a friend to do a diagnostic check on it and it came out a ground wire and p0701 also came up. The car runs but at some point it starts to go slower and it won’t shift into gears. So we started to clean the throttle and it had a lot of junk after we cleaned it it ran good for a little bit and it’s starting to do it again. So I’m guessing that P0701 must have something to do with it but where is the TCM and ECM located at? When you go by highway in 6 speed, the car is revolutionized, slowed down and still running but in 2 speed and does not change to 3 or successive, the car goes 30km / h but still revolutionized, after a while to stop we return to Start and goes perfectly until 20 minutes later the same thing happens. What this failure could be. Hi I have this po701 code on an 3.2 2004 Audi TT. Hola Benjamín. Tengo una ford Freestyle 2005. Reemplaze el sensor de Rango de la transmision, puesto que presenta el problema P0701. Ahora solo enciende en L y no en Park. Me pregunto si el reemplazo o sensor nuevo necesita se reprograme la computadora a fin de que lo reconozca o necesita ser reprogramado. Cuando el auto se coloca en marcha de Reversa produce un golpe.